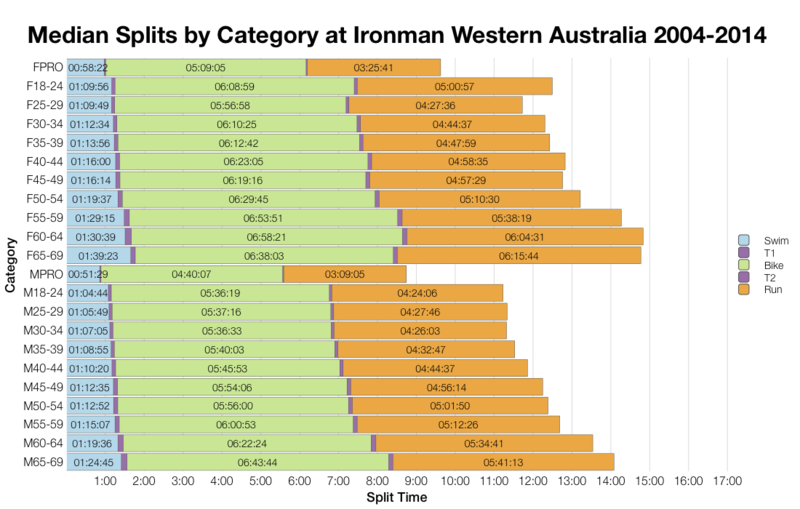 Ironman Western Australia brings the Ironman year to a close (meaning I get a couple of months break from these analyses). Busselton offers the flattest Ironman course available; it’s pretty scenic too. If you can handle heat and potential winds it’s a fast course to qualify on. This year’s racers had to deal with strong winds and this is reflected in slower than usual results. 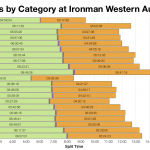 Race day winds had a definite impact on the swim and bike, both see slower times across the age group field. To counter that the run was slightly faster, again this is across the field, although the impact is small of the front of the age group race. Overall times were down though, to the order of 10-15 minutes. As usual there’s a degree of confusion over the DNS and DNF numbers – it’s unclear if this year’s results list all entered athletes or only those who started. 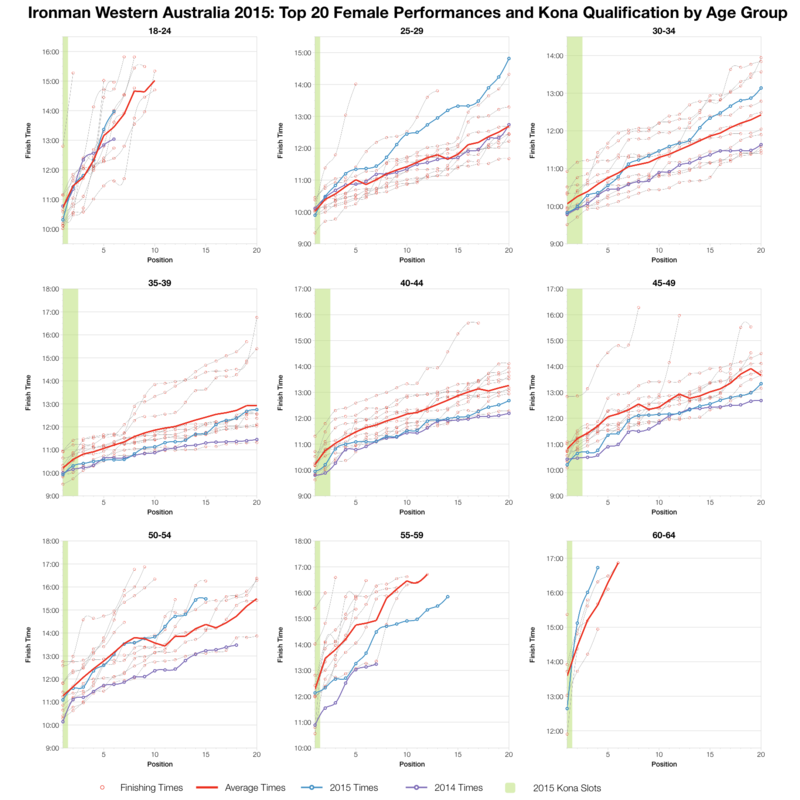 The DNF figures appear low enough to suggest that the results may consist of only the athletes who turned up to race (whereas 2014 likely contained all athletes who entered the race). 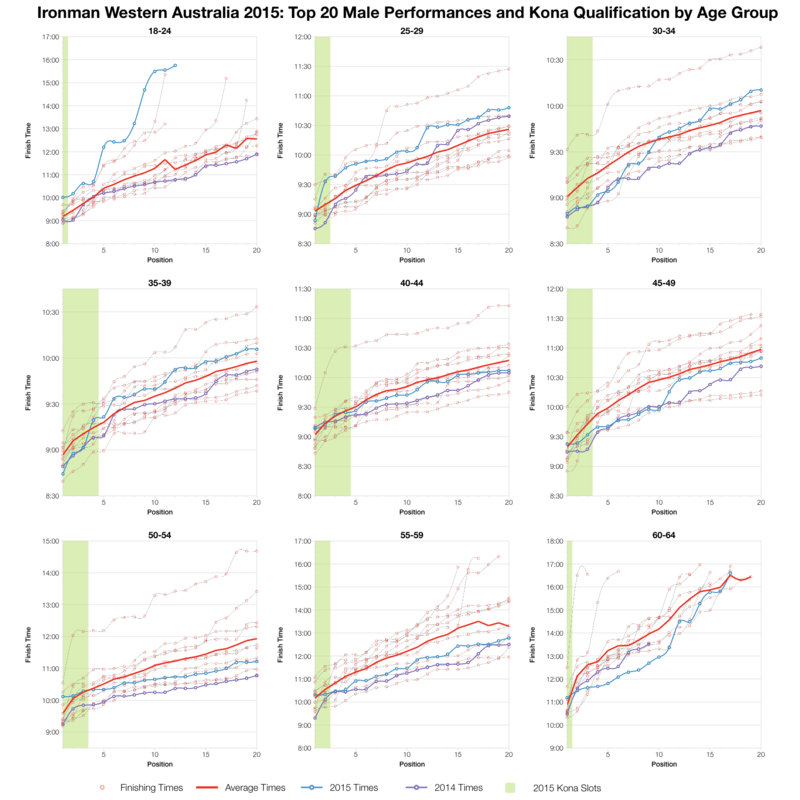 If it’s a mix of DNF and DNS then Western Australia has a low rate of DNF, if it’s purely DNF then the rate is around the average. Either way there’s nothing exceptional in these numbers. The broad pattern for the age group medians is again a slower swim and bike, and faster run. 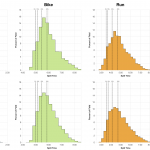 It varies a little between the divisions, female age groups don’t appear to have been as affected on the bike as the men. 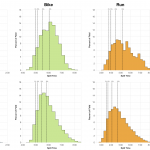 For most age groups though we can see the slower times. If we track a range of finishing positions over the last decade of racing 2015 was one of the slower years in Busselton. There have been slower – 2005 and 2011 stand out for some particularly slow results. 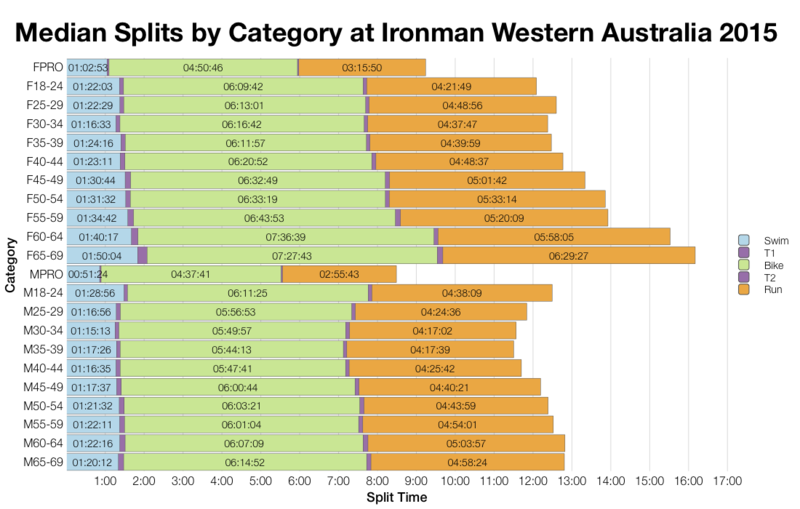 We can also see how the impact of conditions on finishing times is more significant as you move back through the race. 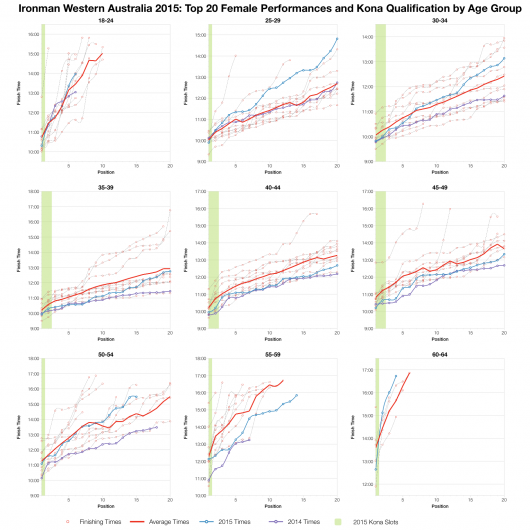 Age group winning times don’t vary that much over the last 10 years of racing. The table above lists slot allocation estimates for the race (I’ve not seen the final allocation to confirm numbers, but there’s likely some variance) and based on that allocation the automatic Kona qualifying times. 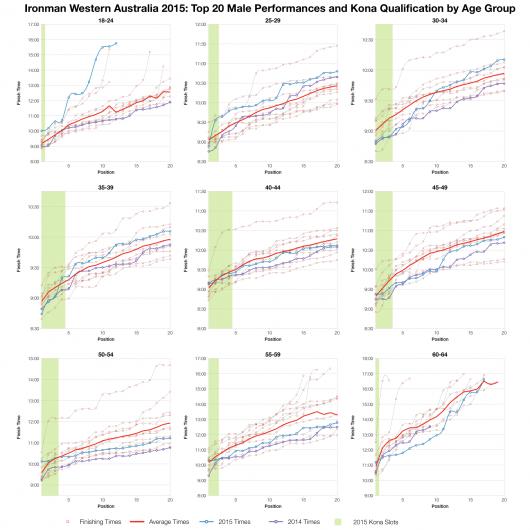 For comparison with previous years and other races you can find all the figures on my Kona qualification page. As mentioned, the impact of tough conditions on the front of the field tends to be much smaller. That was definitely the case this weekend and despite a slower event a good number of top twenty age groupers came in faster than average. It wasn’t the fastest race ever for qualification, but compared with the rest of the field the times at the front were still competitive. Overall the race was slower, we can see the shift in results when we review the whole field. The major impact was on the mid to back of pack athletes which causes the shift in the median times. 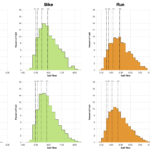 At the very front of the race conditions played less of a role and times are at least as fast as average for the course. You can access a spreadsheet of the full results and splits from Ironman Western Australia 2015 on my Google Drive.